From Woodstock to “The Banana Splits,” from “Sgt. Pepper” to “H.R. Pufnstuf,” from Altamont to “The Partridge Family,” “Groovy” is a far-out trip to the era of lava lamps and love beads. 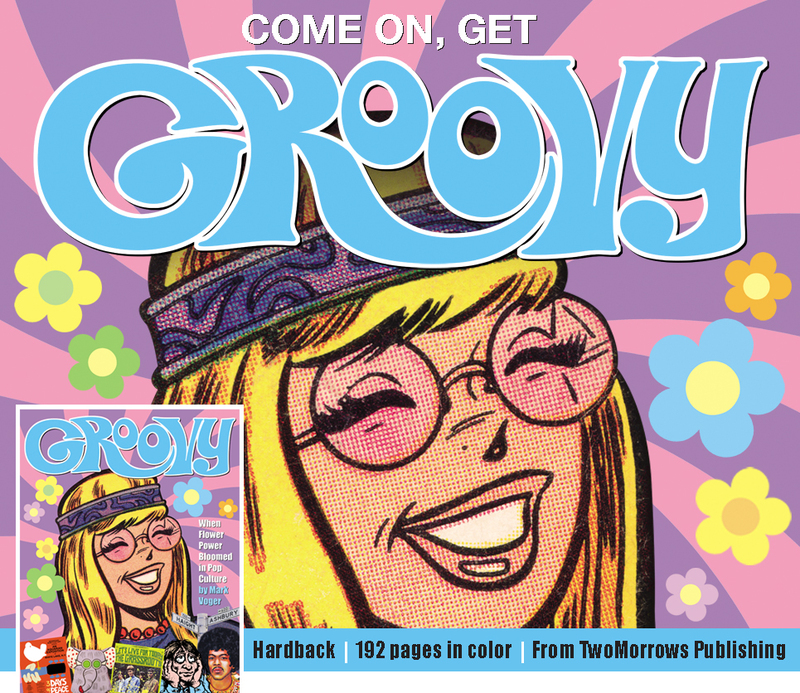 This profusely illustrated hardcover book — in psychedelic color — features interviews with icons of grooviness such as Peter Max, Brian Wilson, Peter Fonda, Melanie, Donovan, David Cassidy, members of the Jefferson Airplane, Cream, the Doors, the Cowsills and Vanilla Fudge; and cast members of groovy TV shows like “The Monkees,” “Laugh-In” and “The Brady Bunch.” “Groovy” revisits the era’s rock festivals, movies, art — even comics and cartoons, from the 1968 “mod” Wonder Woman to R. Crumb and the underground. 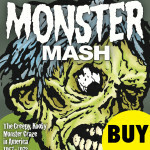 A color-saturated pop-culture history written and designed by Mark Voger (author of the Rondo Award-winning “Monster Mash”),“Groovy” is one trip that doesn’t require dangerous chemicals. LISTEN: Talkin’ about “Groovy” on the Comics Alternative podcast HERE. LISTEN: Talkin’ about “Groovy” on my return to Too Much Scrolling HERE. LISTEN: Talkin’ about “Groovy” on my return to Bobcast HERE. READ: Jacqueline Cutler’s “Groovy” review for The Star-Ledger HERE. READ: Mike Segretto’s “Groovy” review on Psychobabble HERE. READ: Steven Thompson’s interview with me on Forces of Geek, HERE. READ: Steven Thompson’s review of “Groovy” on Forces of Geek HERE. READ: Ed Catto’s ComicMix column “Groovy” interview with me HERE. READ: Donovan’s Bookshelf’ “Groovy” review (scroll down a bit) HERE. READ: MonkeesLive Almanac’s “Groovy” preview HERE. READ: KC Carlson’s “Groovy” preview on the Westfield Comics Blog HERE. READ: ComicMix column’s “Groovy” preview item HERE. READ: ComicList’s “Groovy” preview HERE. 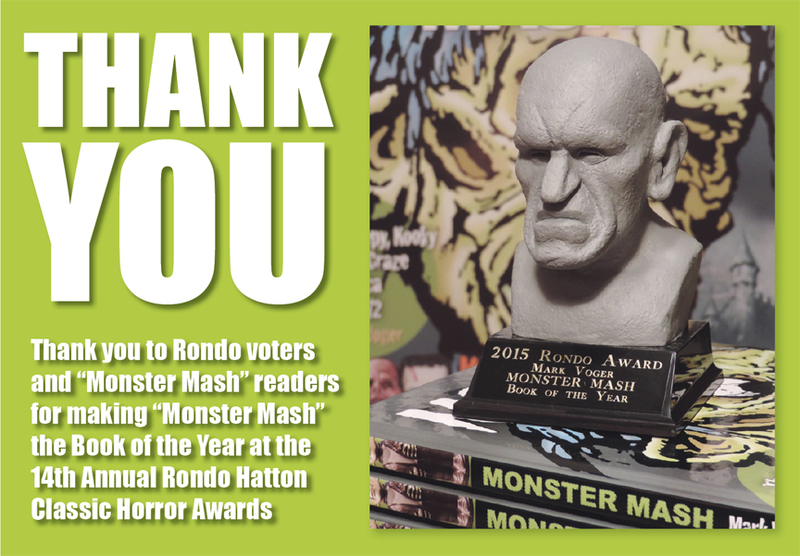 See the acceptance speech HERE. Read about the awards ceremony HERE. Read about how Ian created it HERE. ■ “Your book is a mirror. In it, you have stolen my soul. It is so nice to have it back. ■ “It’s just a feast for the eyes from cover to cover … The array of material in here is just staggering.” – Larry Corley, WQNA in Springfield, Ill.